Thousands of Idaho teens aren’t getting help from educators to navigate their high school and career learning options, even though it is required by law. 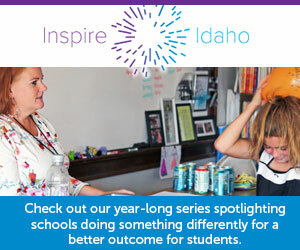 Idaho requires educators, typically counselors, to develop four-year student-learning plans with every eighth grader. The plans serve as a map for educational and career pursuits, and must be approved by parents and reviewed and updated annually until students graduate. Despite the mandate and millions in additional funds since 2015, an Idaho Education News investigation found that many Idaho students are not starting plans when they are young, and those with plans aren’t getting them reviewed and revised annually. They place other counseling tasks ahead of learning plans because they question the effectiveness of the requirement. Money backing the mandate is sometimes filtered elsewhere by superintendents. Student-to-counselor ratios render review of the plans difficult. Idaho’s learning-plan requirement was created in 2006 to help more kids get geared up for college and other career pursuits. Helping kids sign up for courses and other learning activities. Making “good faith” efforts to notify parents or guardians to help draft the plans. A school can scrap the requirement for a student if a parent or guardian requests so in writing, though this rarely happens. In efforts to meet the requirement, some schools help kids complete the plans electronically, hoping to reach more students and get more parents to review them online. Others complete the plans with kids on paper and send a hard copy home for parents to sign and return. Idaho Education News spoke with parents and educators about student-learning plans in several school districts, including Snake River, West Ada, Bonneville, Blackfoot, Shelley, Boise, Preston and Pocatello-Chubbuck. Idaho Ed News also requested feedback from parents and students via social media. While most junior high counselors reported consistent creation of the plans, high school counselors in just one of these school districts, Pocatello-Chubbuck, said they were able to regularly review and revise the plans with nearly every student throughout the school year. Other counselors said they’re not even close to meeting the requirement. “It is a wonderful plan, but I’m not sure it happens that often,” said Snake River’s Crook. Some counselors are convinced that eighth grade is too early to be drafting plans that emphasize learning and career paths beyond high school. Idaho’s student-to-counselor ratios render it nearly impossible to meet with every kid to review the plans annually. Meridian High School college-and-career counselor Donna Decker said she reviews plans annually with about half of her students, including the vast majority of freshman, who are granted extra time during a high school introductory course, and outgoing seniors. But a heavy workload makes it difficult to review the plans with sophomores and juniors, she said. Though Crook and Decker questioned the practicality of requiring kids to draft learning plans in eighth grade, both said Idaho’s student-to-counselor ratios are most detrimental to meeting the requirement. They each carry caseloads of between 350-450 kids on any given year, figures that coincide with Idaho’s 2016-17 student-to-counselor ratio of 449:1, according to SDE numbers. This statewide ratio reflects the national average, but the American School Counselors Association recommends a 250-to-1 ratio. Idaho’s higher ratios often result in a triage approach to school counseling, with student-learning plans falling by the wayside. Idaho’s dismal college go-on rates and concerns over high student-to-counselor ratios have prompted lawmakers to allocate “special distributions” to statewide college-and-career advising efforts in recent years, including a $5 million line item in 2016, and $2 million more in 2017. Despite the added funds, districts across the state still aren’t meeting the learning-plan requirement, which doesn’t surprise some lawmakers. VanOrden, R-Pingree, called neglect for learning plans a “big missing piece” to improving the state’s first-year go-on rates, which most recently came in at 48 percent. She also rebuffed counselors’ complaints that eighth grade is too early to draft the plans. That argument doesn’t add up, VanOrden said, because the law requires educators to review and revise the plans annually with kids — an indicator that Idaho’s learning plans are works in progress, not rigid roadmaps that kids have to follow once created. Some state leaders think eighth grade isn’t early enough to start talking about careers and are proposing those conversations begin in seventh grade. Dwight Johnson, the administrator of the Idaho Division of Career Technical Education, said career awareness efforts should start in the seventh grade to prepare those students for developing their eighth-grade plan. “It is something (educators) should be doing,” VanOrden said. The Legislature’s recent distributions of extra cash would be helping a lot more, VanOrden said, if districts used the money as lawmakers intended. This would include hiring more personnel, charged solely with college-and-career advising; investing in software that can help counselors reach more students; and more efforts to team up with teachers to fulfill college-and-career advising tasks, when appropriate, VanOrden said. Other districts are making more focused changes, VanOrden believes, like Snake River, where oversight of senior projects recently shifted from counselors to teachers. “That’s a step in the right direction,” VanOrden said. Districts and charters are not required by law to spend their special college-and-career distributions as the Legislature recommends. Six out of eight administrators interviewed for this story said all of their 2016 and 2017 distributions have been strictly reserved for college-and-career advising. For example, West Ada, the state’s largest district, is slated to receive $868,782 in college-and-career funds for the 2017-18 school year. Administrators will spend most of this money, $635,000, on staffing college-and-career advisors hired last year, including one at each of the districts five large high schools. The rest will pay for software and other college-and-career resources. But two districts have redirected large portions of their special distributions elsewhere. The Snake River School District moved nearly two-thirds of its 2017-18 college-and-career advising money into its general fund, according to business manager Chris Neoson. Snake River will receive some $32,300 college-and-career advising funds for 2017-18, up about $4,400 from 2016-17. But administrators only reserved about $10,000 for college-and-career advising this school year, Neoson said, including a roughly $6,000 stipend for a counselor who’s supposed to spend time advising students and their parents after school. Some $4,000 has been reserved for a career fair, a college-and-career field trip to Idaho State University and “some other” activities. That means roughly $20,000 can be spent on other things, from salaries to school maintenance. Shelley business manager Lanell Farmer said her district also reserved a large portion of its college-and-career advising money for general expenses — about $17,000 of the $47, 000 it will receive this school year. Pocatello-Chubbuck administrators said all of the district’s 2017-18 special distribution, just over $287,000, is strictly reserved for college-and-career advising. Despite that amount, up roughly $80,000 from 2016-17, counselors in East Idaho’s largest district report caseload ratios similar to the rest of Idaho’s. But, like West Ada, the boost in state funds has encouraged Pocatello-Chubbuck administrators to hire several advisors charged specifically with college-and-career coaching, including consistently drafting and annually reviewing student-learning plans. Still, there’s no guarantee that either the state’s boost in funds, or educators’ broader college-and-career push, will add up to faithful creation and review of student learning plans in other districts. But the district’s renewed emphasis on creating the plans hasn’t led to consistently reviewing and updating them, said Shelley High School counselor Troy Cook. Cook carries a caseload of about 300 kids, but said it’s still unlikely that he’ll have time to get to most of the plans this school year. He instead prioritizes them, meeting with a few kids who most need it throughout the year. But he’s also doubtful of the plans’ effectiveness: “I really don’t put a lot of stock in learning plans,” he said. Some parents say their schools have been good about helping their kids create and revise learning plans. Others say they’ve never even heard of the them. “None of (my children) have ever created a plan in the Boise School District, nor has there been any sort of plans involving parents,” said Trisha Wieber, whose oldest child graduated from Boise High in 2016. Her other three other children are now enrolled there. Fellow Boise parent Lisa Dean-Erlanger outlined a vastly different experience. Pocatello High School senior Andie Peck said a heavy emphasis on her four-year plan has helped her stay on track to graduate. “I wouldn’t know what the crap I’d be doing without it,” she said. Fellow Pocatello High senior Skyler Stapleton said her learning plan helped her choose the path toward a nursing career and to a certified nurse assistant. “I don’t think I’d already be a licensed CNA without the learning plans,” she said. EdNews data analyst Randy Schrader contributed to this story. Emmett residents asked about early childhood education, population growth, infrastructure, healthcare and more during the new governor’s first “Capital for a Day” event. Marlene Tromp comes from the University of California at Santa Cruz, where she has served as provost and executive vice chancellor since 2017. Her hire completes a search 17 months in the making. What did your school do today? Schools are expanding their offerings for young kids, which also means more than a dozen job openings for kindergarten teachers.